The Great Grange reigns! Stunning, seductive and aging with grace! Those Penfolds luxury wines did not disappoint. Tuesday, September 9th, 2008 will be a day to remember. Seated at Reds Bistro for a unique tasting lead by award winning Chief Winemaker Peter Gago. Peter, bravely fought off the sniffles, not a good thing when you’re the chief leading the tasting. We were treated to an experience, with the wines showing brilliantly and the wine writers and personalities around the table sipping, slurping, commenting and busily scratching down tasting notes, prices and most importantly, availability! 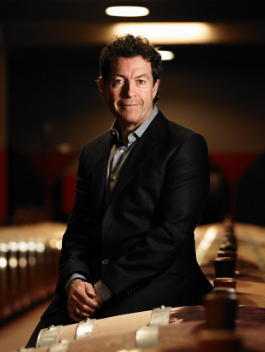 In 2001, the National Trust of South Australia listed Penfolds Grange as a Heritage Icon. Gathered together to experience this tasting, with each wine being presented with another of a previous vintage, we were all exposed to how these wines develop over a certain time period of cellaring. Anyone who thinks all Australian wines are meant for earlier consumption, you might want to reconsider! Of course these are not just ANY wines from down under. 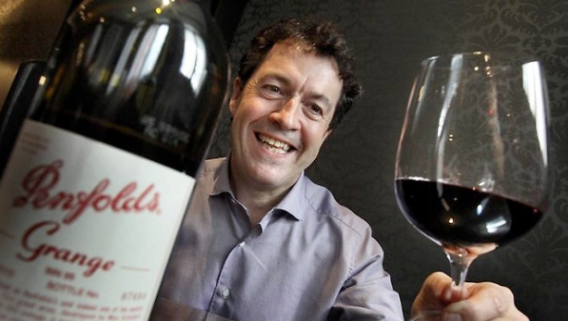 Penfolds has legs! long beautiful legs! excuse the pun. It is the confidence of Penfolds that allows them to subject their range of wines to an independent assessment, an assessment of wine critics and writers the world over who pen their measure of and opine on the various wines and vintages of Penfolds all to appear, non edited every 5 years in “The Rewards of Patience” a book long anticipated by wine critics and lovers from around the globe. This 6th edition, launched on September 9th here in Toronto, on the 18th in Melbourne and in New York and London not until October, is a wine lovers superb reference for Penfolds; independent and honest. 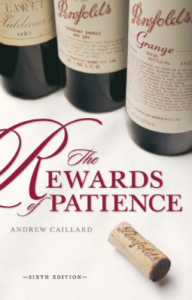 For precise tasting notes on all of the above please visit www.penfolds.com or treat yourself to a copy of “The Rewards of Patience” for an overview of almost every single wine Penfolds has ever produced! https://www.thewineladies.com/wp-content/uploads/2008/09/Screen-Shot-2018-02-22-at-11.52.47-AM.png 321 568 Susanne Seelig-Mense https://www.thewineladies.com/wp-content/uploads/2017/08/WineLadiesLogoTransparent.png Susanne Seelig-Mense2008-09-17 12:00:012018-02-22 12:11:21The Great Grange reigns! Stunning, seductive and aging with grace!